I haven’t blogged about it as much as I wanted to, but I’ve been working towards my tailwheel endorsement in a Piper J3 Cub recently. I’ve had a few lessons and then had to take about a month break due to work and the weather. Right before that break, I was starting to get discouraged. Unlike Private Pilot, when you get discouraged with your landings, you can take a break and go refresh on stalls or steep turns, not so much with this endorsement. I felt like I wasn’t ever going to learn to land this frigging airplane! Maybe a break is what I needed. I went gliding the day before so I had flown recently. My CFI had made a comment that he thought since he hadn’t seen me in awhile that I had been discouraged. Oh no! I don’t want him to think that! It was a bit gusty that day. It started out around 10-12kts sustained gusting to 21. I wasn’t sure if it was okay for the Cub to fly, but I gave a call and it was okay. He said if it was my first time, no we wouldn’t have gone; but he thought I was up for the challenge. It was a slight crosswind but changed to straight down the runway later in the lesson. My landings weren’t terrible at first. Some of my better ones actually! About halfway through my lesson though I had a bounce landing, he suggested if I added a bit of power at the end it would have been great. Next time around I tried to duplicate it and add power and it wasn’t awful. I got back in the groove, but we ended up talking a bit more in the pattern so my approach was slightly high and involved a lot of slipping. The landings were good though. We went back into the office and while I was paying for the lesson, he was filling out my logbook as usual and asked for my pilot’s license. I didn’t think too much of it and handed it over. I noticed a bit later he was on the endorsement page! He finished and I got my tailwheel endorsement! Yay! I was surprised, but then again, that last landing was super sweet! He said he would want one more lesson before I could get checked out in their Cub, just when the winds were a bit calmer. I want to get checked out in it so I set that up. But we’re also going back to the Citabria to do aerobatics again after that! I’m so excited! I was getting sick of just doing landings. I want to be inverted again! 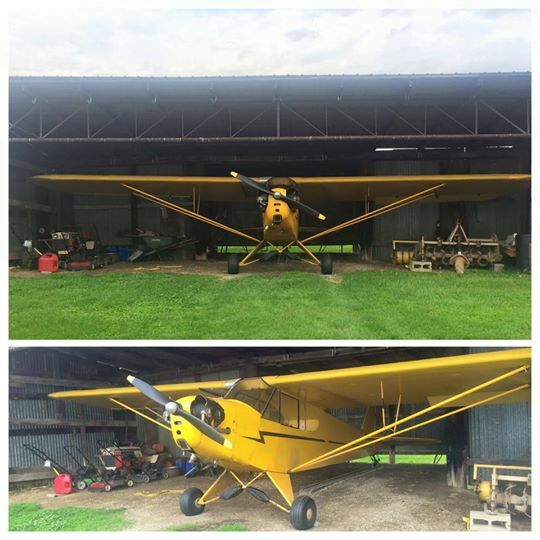 I believe my tailwheel training benefits my glider training and vice versa. While I’m not sure it’s the best idea to split yourself between two types of training, it has turned out well for me. I’m going to keep working towards my glider while I do aerobatics, so I’ll let you know if it continues to work out. I can fly taildraggers now! Yay!